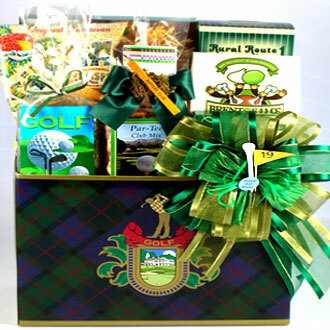 Not sure what to get the golfer on your gift list? 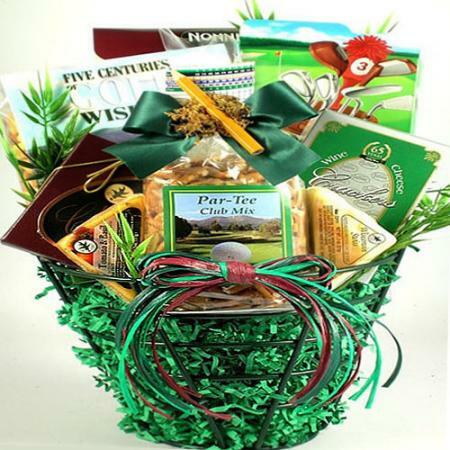 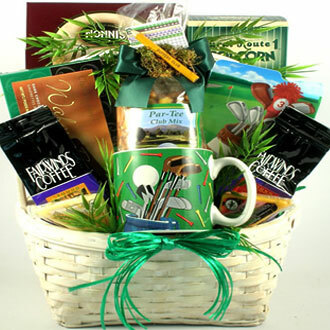 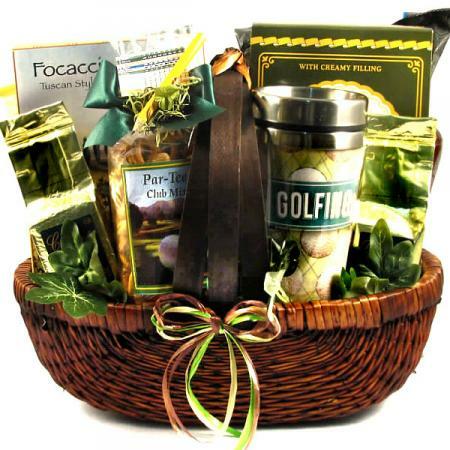 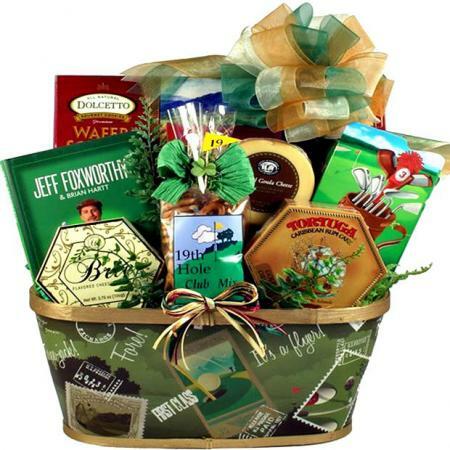 Give them a golfing gift to remember piled with tasty gourmet snacks for golfers. 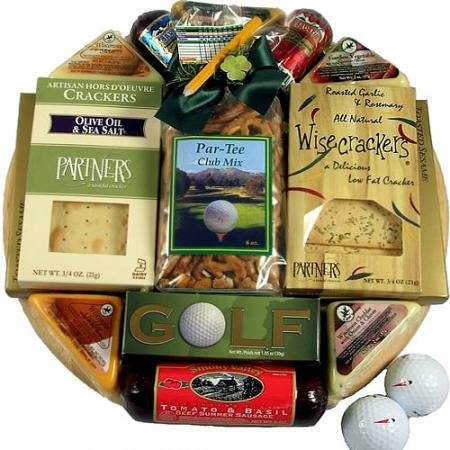 Any golfer would love to receive this artfully arranged golf ball cutting board with snacks for before, during or after a round of golf. 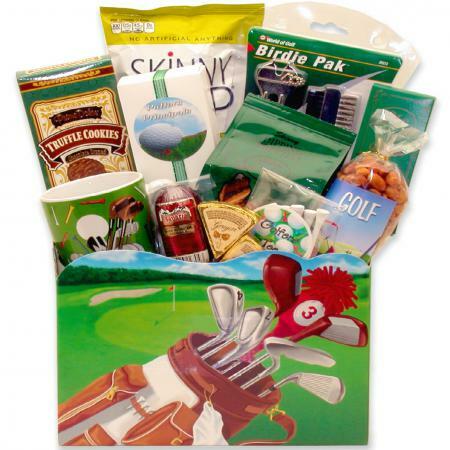 Any golfer would love to receive this deluxe golf ball cutting/serving board piled with snacks for before, during or after a round of golf. 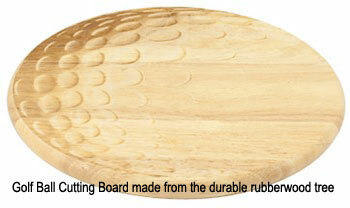 *12 -1/2 inch "Picnic Time" original Golf Ball hardwood cutting board/serving tray recognized for its rich grain & durability.